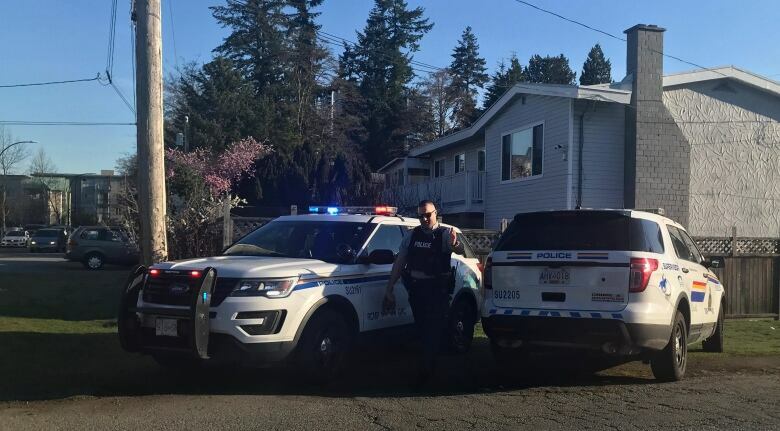 A man and a woman are dead after a hostage-taking that began late Thursday and ended Friday morning at a home in a residential neighbourhood in Surrey, B.C. CBC News has learned through friends and neighbours that the woman, who had been taken hostage, was Nona McEwan. Police have not identified the hostage or hostage-taker, though during the standoff they were heard, according to neighbours, to be addressing someone named “Randy,” who was inside the home, via bullhorn. McEwan’s friends said her boyfriend was Randy Crosson. They said McEwan and Crosson had a difficult relationship. 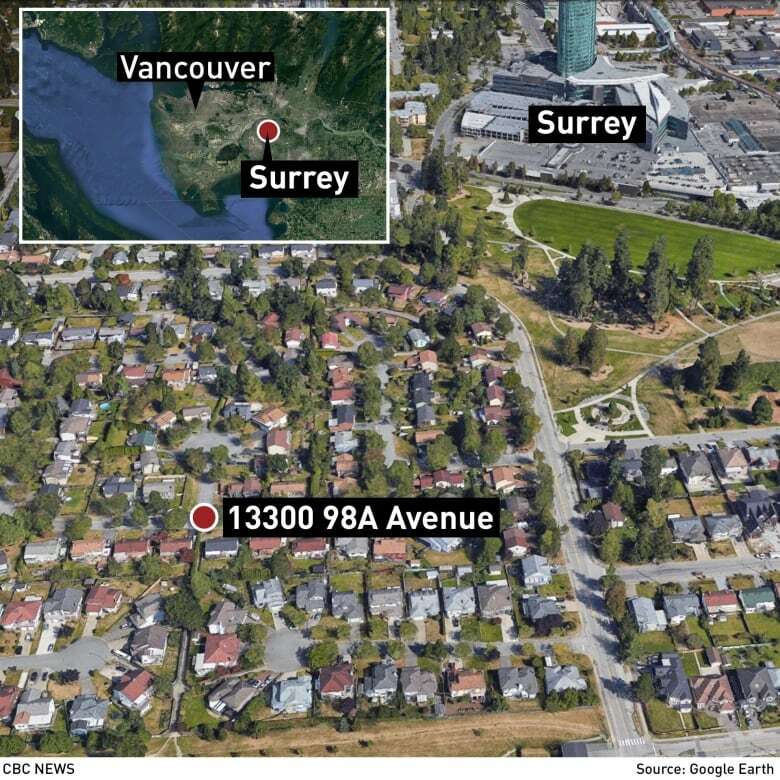 Surrey RCMP were called to a house in the 13300 block of 98A Avenue around 9:30 p.m. PT on Thursday. Officers arrived to find “a barricaded male and female hostage” inside the house, according to a statement released late Friday morning. The statement said officers tried through the night to resolve the situation, but entered the home at 7:30 a.m. Friday. A woman was also found with serious injuries and later died in hospital. 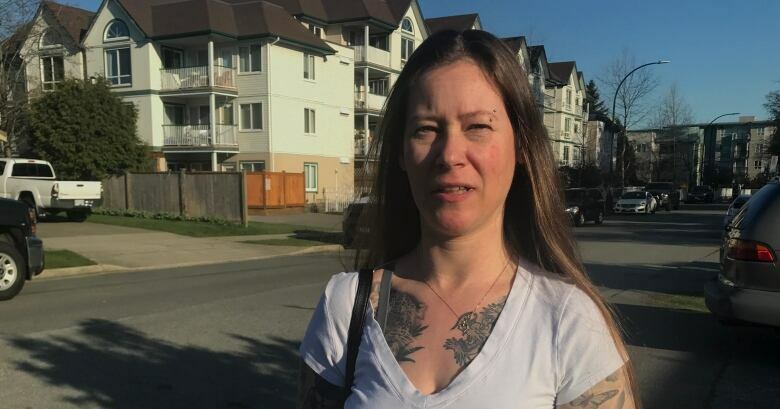 Ron MacDonald, Independent Investigations Office of British Columbia’s chief civilian director, said it’s believed the man and woman knew each other. MacDonald confirmed shots were fired, but it’s unclear how the man and the woman died. “We know police took shots, but we don’t know if they’re the ones that caused injuries to the male. We’re still trying to determine that. It’s obviously still very early in the investigation,” he said. RCMP said “the scene and situation” were contained and there was no further risk to the public. Drivers and the public are being asked to avoid the area as police investigate. Cheryl Lewis, who lives in a nearby home with her 25-year-old daughter, said she was in her basement when she heard police and what she believed to be gunshots just after midnight. “Police came and asked me if any bullets hit my house this morning,” she said, adding that none did. Another resident, Roger Brouillette, said the area isn’t unsafe but he does see some crime. “I was thinking it was probably a drug dealer or something like that because the area where I am now has lots of things like that,” Brouillette said. Sabine Roehling described a lengthy negotiation between police and a person inside the house.